TOMORROW night’s Ballarat meeting will offer plenty of action on and off the track. 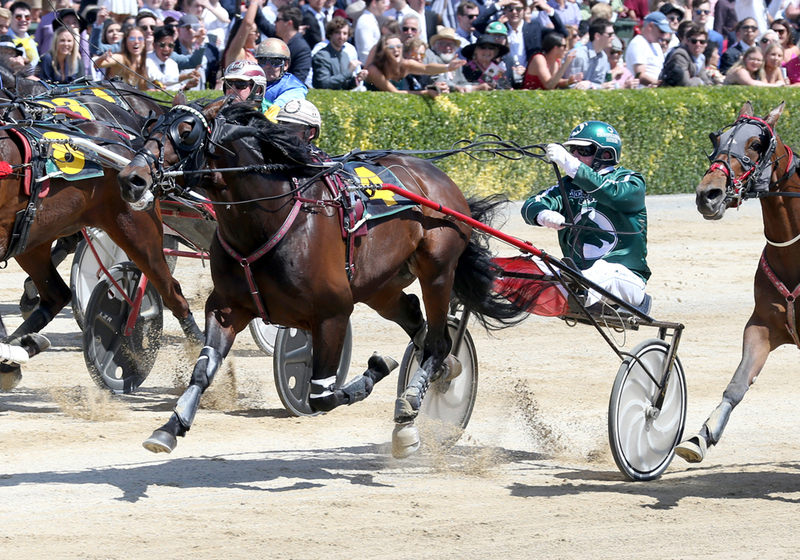 Set to host the second round of Inter Dominion heats, the club has arranged a variety of activities and value-for-money promotions for patrons. Along with the ever-popular ‘jumping castle’, children will be given the chance to paint their own plaster horse in their favourite Inter Dominion colours. Helping parents keep the cost at a minimum, the club’s $25 deal includes entry to the course, a free drink and four $5 food vouchers! As far as the racing side of the operation goes, the five Inter Dominion qualifiers promise to be keenly contested after the barrier draws “threw the races open”. Of the three pacing heats, each of last weekend’s opening round winners have drawn the second row, with two of the first night stars – Cruz Bromac and Galactic Star – to clash in the last qualifier on the card. In the trotting division, Tornado Valley and Speeding Spur – the first and second favourites to win the Final – will meet in the second heat. Despite drawing the outside of the front row, Tornado Valley is the public elect at $2, with Speeding Spur on the second line of betting at $2.20 from barrier five.